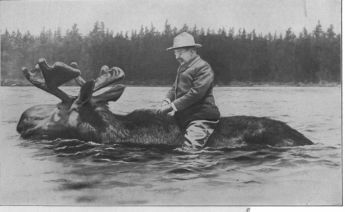 Theodore Roosevelt with the help of Good Citizens helped to Make America Great! This web site is dedicated to one of our most opinionated President’s words and actions of wisdom which should be part of any meaningful civics class. We can do only 1 of 3 things in this world and the first two of these should be avoided. 1. When your life has ended it can have had a negative impact on the world. 2. When your life has ended it can have zero impact on the world. 3. When your life has ended it can have had a positive impact on the world. A Good Citizen only needs to leave the world ever so slightly better than accomplishing nothing of value when balanced against the errors of life that add to the chaos. A few that travel through life will be blessed with the great gift of great accomplishments but that is not required to have lived a “Good Life”. On this web site you can read about how to make a positive impact on the world that we live in by practicing good citizenship. Theodore Roosevelt preached good citizenship and acted upon what he preached his entire life. His life’s story can be found in the free history books on this web site. His words and deeds and what others have written about him define a path for others to follow, who wish to make the United States of America great by instilling good citizen values in the only place that can make a difference to the character of a country. Politicians will follow the character of the will of the people. Theodore preached mainly to the common citizens’ responsibilities. Many followed his words and he was able to make a positive impact on our countries character with their help. He is still preaching to us from these books about good citizenship. Do you have the desire to make our country ever so slightly better? If you do, read about T.R.’s common sense approach to life and act upon what you believe has value from these pages of history. You will leave something of value for others if that is your desire.